The issues around chrome and flash problems continues to plague website visitors who use chrome and Firefox as a browser. We've all heard of the chrome and flash crash and how it can impact even the best websites. Avoiding Flash is not a solution as many websites still carry the essential program and need it as well. Up to now most web developers and web designers have had to be content with hoping that the end user will fix his browser requirements. Many times this does not happen which results in users abandoning the website and becoming highly frustrated. This directly impacts web developers who have to see to it that everything runs smoothly. Complaints from web developers are all over the place. When we hear "the adobe flash player has crashed" the results are serious. Issues like having a flash file with absolute links on the buttons. When you click the buttons nothing happens! Additional problems that developers face when dealing with "the adobe flash player has crashed" syndrome include any information that is embedded in Flash becomes invisible to search engines making SEO and advertising difficult.Website reporting on Flash navigation is problematic and cumbersome. Flash breaks web usability standards and lack of consistent cross platform support makes dealing with flash very time consuming. One of the most prolific CMS systems having Adobe Shock wave problems is WordPress .While WordPress is one of the most popular website CMS systems around,they are also having problems finding solid alternatives that work and can be easily implemented. So you've got a Flash based WordPress website. What now? Do you have any idea on how to solve shockwave flash crash in chrome? 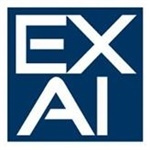 What's important to know is that Exai has a solution to the flash problem. Exai is a managed CMS solution that helps web designers create awesome websites while providing full maintenance for those sites. By using the Exai CMS for building websites all flash content will be automatically converted to HTML5 technology. This comes as an important and even vital update , especially for developers who want to continue using Adobe's Flash technology. For websites that still rely on flash, Exai can duplicate any website on the website platform and optimize it's performance. No coding is required and the process is simple and very cost effective. Exai's CMS is especially designed for users who want a robust website solution that saves time and keeps up-to-date with the latest technology. Helping web developers to build and manage websites easily and efficiently is is one of Exai's most important goals.